At the center of this invigorating novel are two unlikely friends, Archie Jones and Samad Iqbal. Hapless veterans of World War II, Archie and Samad and their families become agents of England’s irrevocable transformation. Asecond marriage to Clara Bowden, a beautiful, albeit tooth-challenged, Jamaican half his age, quite literally gives Archie a second lease on life, and produces Irie, a knowing child whose personality doesn’t quite match her name (Jamaican for “no problem”). Samad’s late-in-life arranged marriage (he had to wait for his bride to be born), produces twin sons whose separate paths confound Iqbal’s every effort to direct them, and a renewed, if selective, submission to his Islamic faith. Set against London’s racial and cultural tapestry, venturing across the former empire and into the past as it barrels toward the future, White Teethrevels in the ecstatic hodgepodge of modern life, flirting with disaster, confounding expectations, and embracing the comedy of daily existence. Zadie Smith is the author of the novels White Teeth, The Autograph Man, On Beauty, and Swing Time, as well as a novella, The Embassy of Cambodia, and a collection of essays, Changing My Mind. She is also the editor of The Book of Other People. Zadie was elected a fellow of the Royal Society of Literature in 2002, and was listed as one of Granta's 20 Best Young British Novelists in 2003 and again in 2013. 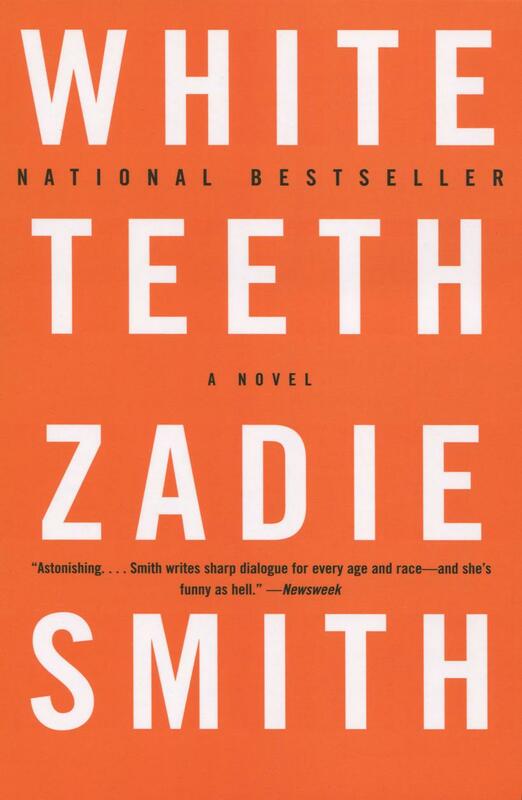 White Teeth won multiple literary awards including the James Tait Black Memorial Prize, the Whitbread First Novel Award and the Guardian First Book Award. On Beauty was shortlisted for the Man Booker Prize and won the Orange Prize for Fiction, and was shortlisted for the Baileys Women's Prize for Fiction. Zadie Smith is currently a tenured professor of fiction at New York University and a Member of the American Academy of Arts and Letters.